IF PRIVACY IS WHAT YOU ARE WANTING.......LOOK NO FURTHER. Stunning 9+ acre private oasis awaits you located minutes from Medical City Lake Nona Shopping and major roads. However once you are on your 9+ acre estate you are able to see nothing except your tree lined estate. This truly is the best of both worlds. 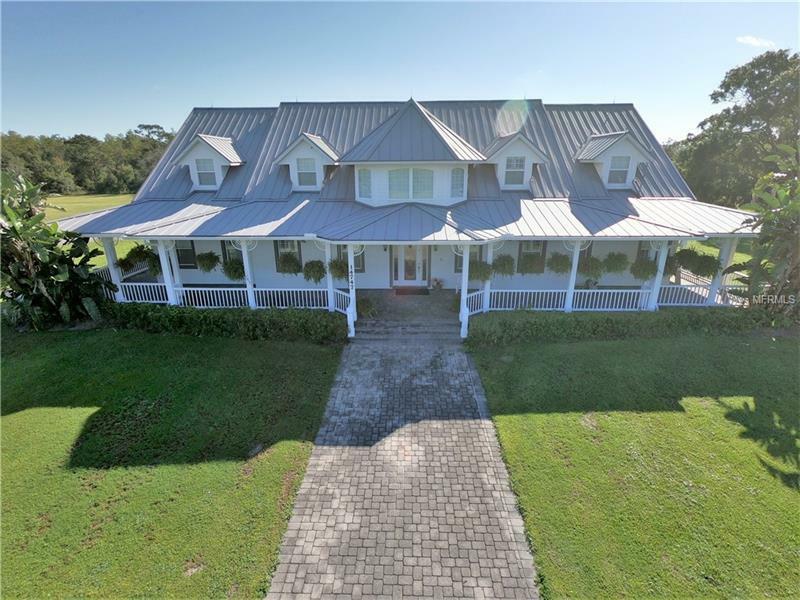 With five bedrooms four full and two half baths plus office or flex room this agriculturally zoned property allows you to bring your horses and ride along the neighborhood's quiet streets. Entertain your guests in this comfortable two-story home with its 360-degree wraparound porches and large screened-in patio with beautiful pool and hot tub. Fish in your private pond ride your ATVs or kick back with your favorite beverage & enjoy the serenity 9 acres afford. Real oak hardwood floors wood look tile and custom cabinets are just some of the upscale finishes found in this almost 6000-square-foot home. Every detail was planned with family functionality and entertainment in mind. The classic metal roof storm room air-conditioned storage and expansive laundry room are just a few of the unique amenities you will appreciate. This non-HOA estate offers the best of Florida living just minutes from Lake Nonaâs Medical City and all it has to offer! Schedule your private showing now. Pet Restrictions: Property is currently zoned Farmland/Rural. All pets and animals must meet the requirements of this zoning.